285m above Melbourne's CBD is the Eureka Skydeck 88. An amazing view which encompasses 360 degrees. If you want to view a sunset I suggest you go early as this is amazingly busy. 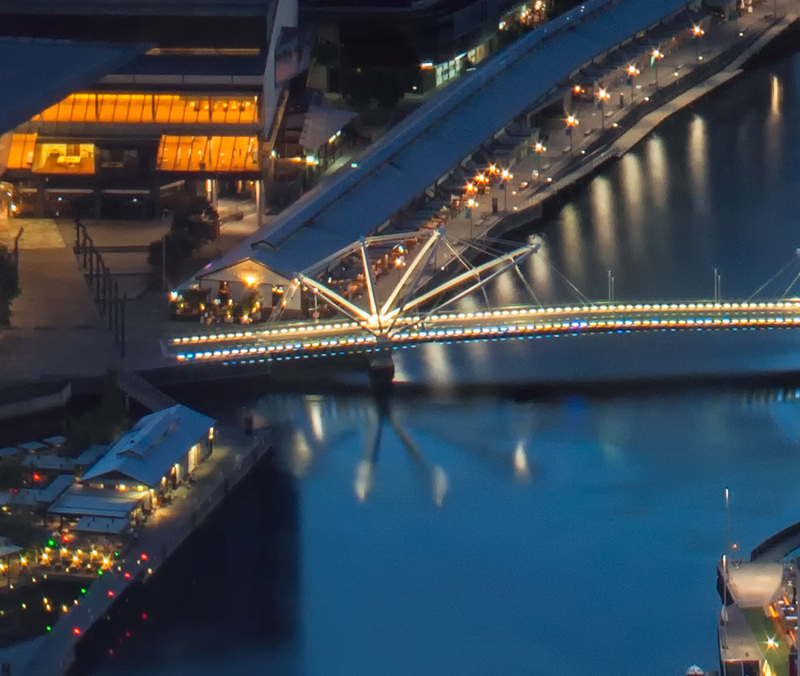 A captivating viewing point that doesn't get boring, even if it did you just walk around to the other side and see what else is happening around Melbourne. This image is a large panoramic image stitched together, Have a look at 100% crop of the image below to see how detailed this photo is.